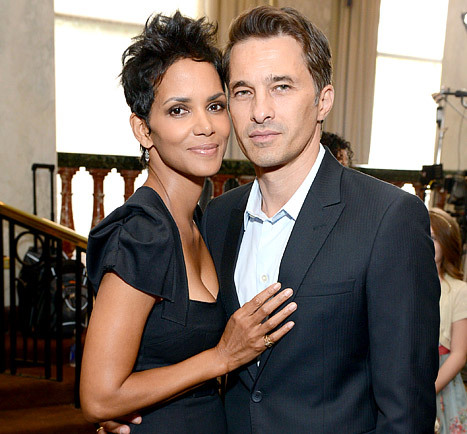 Yes, yet another A-lister is having a baby in 2013: Halle Berry! The Oscar-winning actress, 46, is pregnant with her second child -- a baby boy! -- and her first with fiance Olivier Martinez, a source confirms to Us Weekly, adding that she's "elated." According to TMZ, which first broke the news, the Call star is three months along. UPDATE: Berry's rep tells Us: "We can confirm that Halle Berry and Olivier Martinez are expecting a child." The baby-to-be will join big sister Nahla, Berry's 5-year-old child with ex Gabriel Aubry. Us Weekly was first to break news of Berry's engagement to her hunky Dark Tide costar, 47, back in January 2011. Berry and the Frenchman confirmed their happy news a few months later, but have yet to set a wedding date.